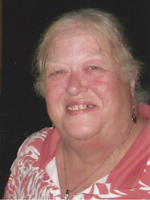 Mary Dianne Johnson passed away peacefully Monday, March 18, 2019 after a long illness. Born in Hopkinsville, KY on July 23, 1948, she resided in the Hampton Roads area for 39 years. She was an active member of the Women of the Moose through the Warwick Moose Lodge Chapter #1386 where she was very supportive of the moose charities. Dianne was preceded in death by her parents, Lacey and Bernice Bowen and her sister, Linda Davis. She is survived by her husband, Walter “Wally” Johnson of Newport News; brother, James Bowen and his wife, Martha; five sons, David L. Word and his wife, Katy and their daughter, Alia of Newport News, VA., William C. Word and his wife, Angela and their two daughters, Elizabeth and Jessica of Richmond, VA., Roy Johnson and his wife, Melissa and their three children, Belinda, Thom Mac and Melinda of Coffeyville, KS., Charles Johnson and his wife, Molly and his daughter, Madison of Gloucester, VA., and Christopher Johnson and his wife, Joclyn and their two sons, Cameron and Gavin, as well as her beloved min-pin, Red. A Memorial Service will be held on Friday, March 22, 2019 at 5:00PM at St. George’s Episcopal Church, 15446 Warwick Blvd. Newport News, VA 23608 with a reception to follow in the church social hall. Arrangements are by Weymouth Funeral Home.